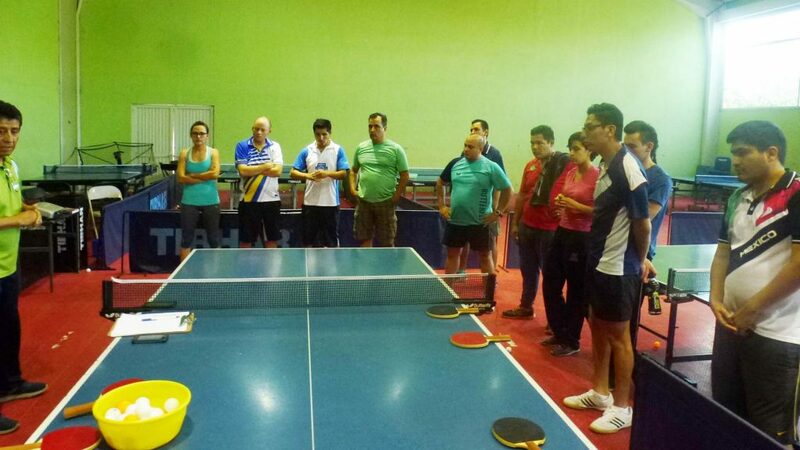 Situated in north central Mexico, Queretaro was the home for a recent ITTF/PTT Level One Coaches Course, proceedings commenced on Wednesday 14th September and concluded on Sunday 18th September. Organised under the auspices of the ITTF Development Programme, the venue for the whole itinerary was the Parque 2000 Table Tennis Centre; the expert on duty was Ramon Ortega Montes, always known as Moncho, the Development Officer for the Latin American Table Tennis Union. A total of 20 students attended, six being female; most notably no less than seven regions of the country were represented. 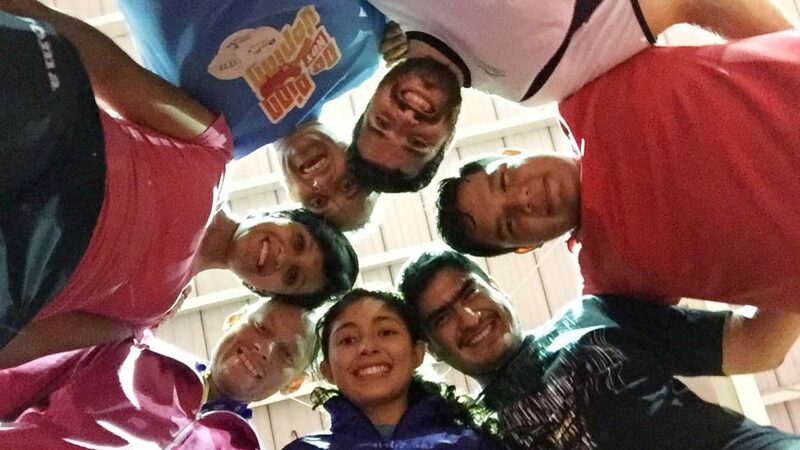 In addition to Queretaro; the course members travelled from Ciudad Juarez (Chihuahua), Cancun (Quintana Roo), Ciudad de Mexico (Mexico), Monterrey (Nuevo Leon as well as from Jalisco and Morelia (Michoacan). “Queretaro is local at high altitude city with a big aqueduct to bring clean water to the city”, said Moncho. The city is 11,020 feet (3,360 metres) above sea level. Pertinently, Queretaro is the home of Miguel Cervantes Ledesma, the President of the Mexican Table Tennis Federation; he was a willing participant on the course and most disposed to learning. Not only did Miguel Cervantes Ledesma attend the course, out of hours he spent considerable time with Moncho discussing future plans. An enthusiastic student as was every member of the group but with such a notable name present, the tone was set. Also present was Lisette Acevedo who assisted with the organisation, as were Daniela Alanis and Pancho Ayala. Currently Daniela Alanis is the National University champion; Pancho Ayala is the resident coach at the Queretaro centre. Worthy names and there two very much of note Antonio Bautista and Angel Castro; both are Para athletes, the former in Class 5, the latter Class 7. Angel Castro is from Morelia and wishes to coach children in his region; whilst Antonio Bautista proved a most valuable course member. He brought two wheelchairs to assist with the organisation of proceedings. Furthermore, he underlined the fact that table tennis is the sport for all; he started playing table tennis eight years ago when 65 years old. He was intent on increasing his knowledge and was most keen to improve his level of play. Desirous of making progress, it was a very similar response from the group from the group from Jalisco. Moises Castro, a Physical Education teacher alongside Oscar Chavira, Victor Figueroa and Alejandro Rios attended. Notably Alejandro Rios is the World Champion for those who have experienced kidney transplants. “I was living in China and playing table tennis, for my transplant I was in Europe and Germany, I can say I have many stories and experiences but with this course, I have lived something else, I´m extremely happy with it”, said Alejandro Rios. 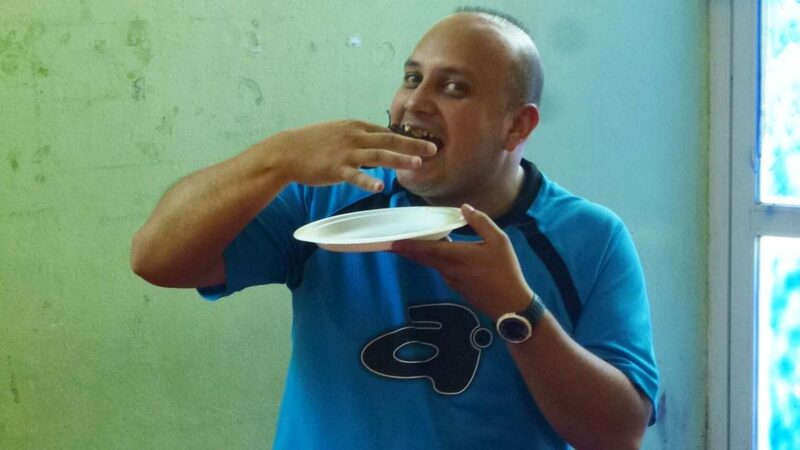 It was the same reaction from Victor Becerra, a full time coach in Meico City; he was present alongside colleagues Jorge Mendez, Ivan Reyes and Victor Tapia who celebrated his birthday during the course. 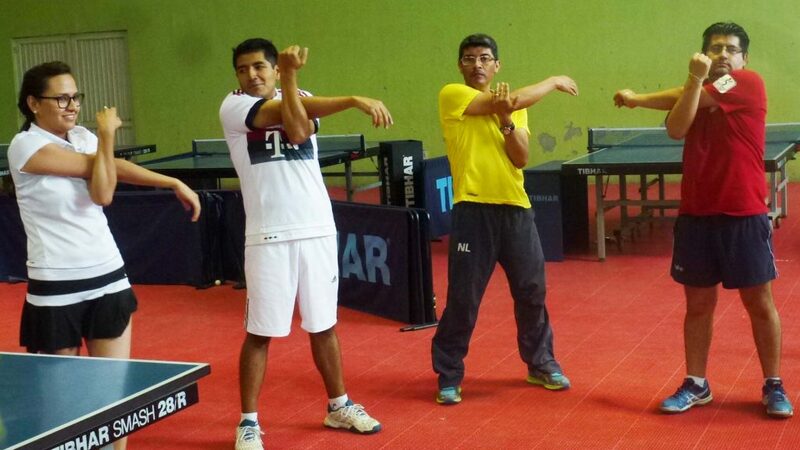 “I´ve learned a lot and I´m happy to be here and improve my table tennis knowledge”, said Victor Becerra. 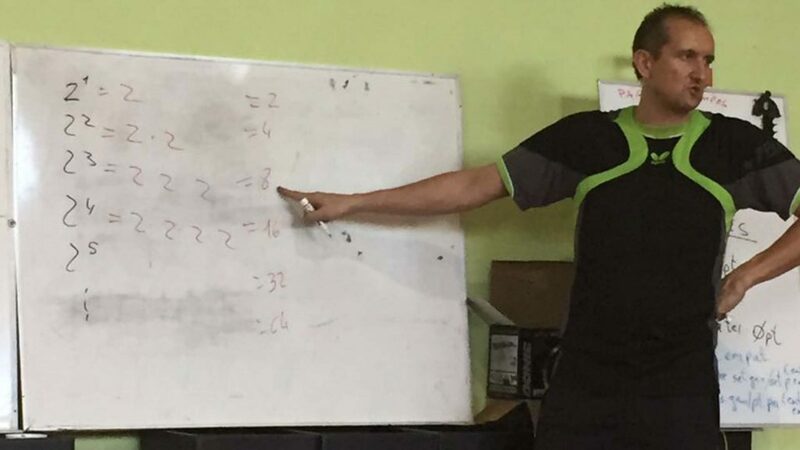 Promoting table tennis in their regions, building on what is already established, was very much the reason for attending the course for most. 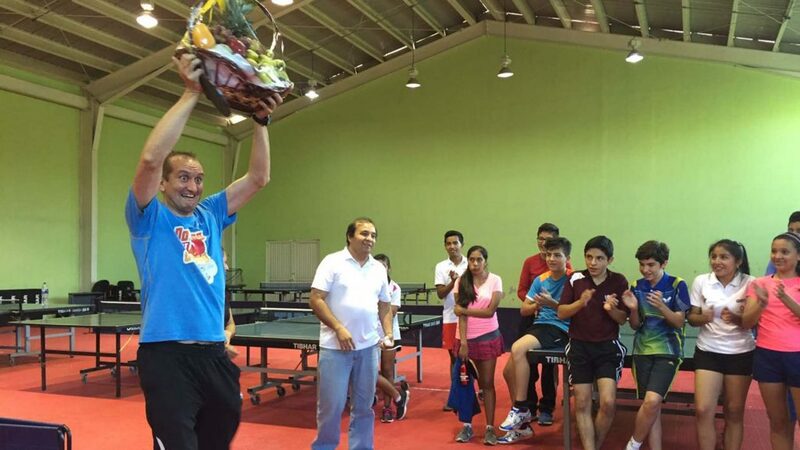 However, for Jesus Mario Rocha, is a former player it was slightly different; his aim is to introduce table tennis to the areas of Ciudad Juarez and Chiguagua where the sport is currently dormant. A total of 17 students enjoyed a full attendance record, all gained pass marks.